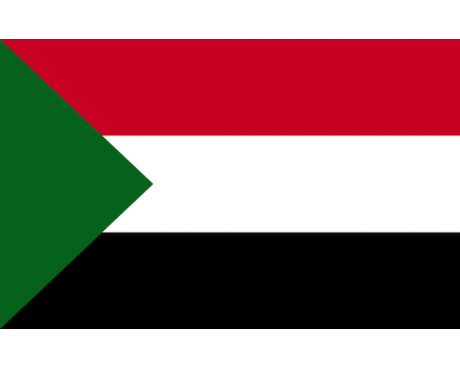 The flag of Sudan is a symbol of both the Sudanese people and their solidarity with the rest of the Arab world. The Sudan flag follows in the footsteps of several historical flags, including two that were associated with foreign nations rather than the Sudanese people. The modern flag of Sudan is not the only flag that has represented the nation since it gained its full independence from foreign influence, but it does not show a strong influence from any historical Sudan flag. 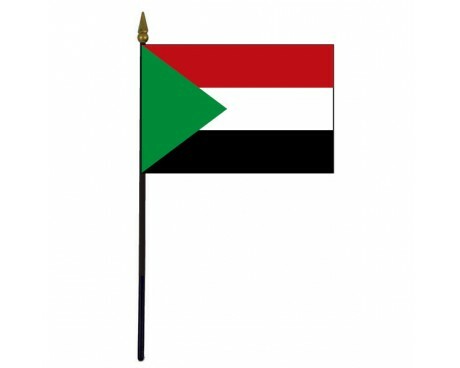 The Sudanese flag consists of three horizontal stripes of red, white, and black with a green triangle that stretches out from the flag's hoist. 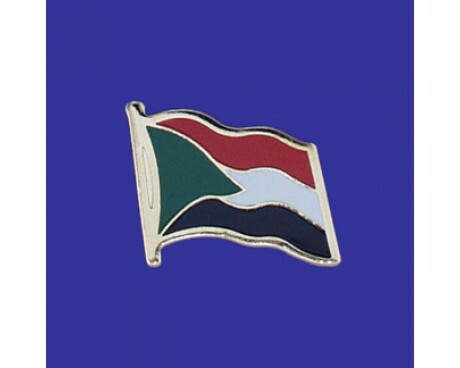 Those colors are associated with the Pan-Arab movement, which allows them to serve as a symbol of Sudan's unity with the other Arab nations of the world. Each of the colors also has symbolic value in its own right. The green triangle is a symbol of virtue, prosperity, and the nation's agriculture. The white stripe stands for peace, love and the religion of Islam. The black stripe represents the nation itself as well as the historical flag of the Mahdist revolt. The red stripe represents the people who have suffered and died for Sudan. The modern nation of Sudan was born as a result of the Mahdist War between the region's inhabitants and the British Empire. 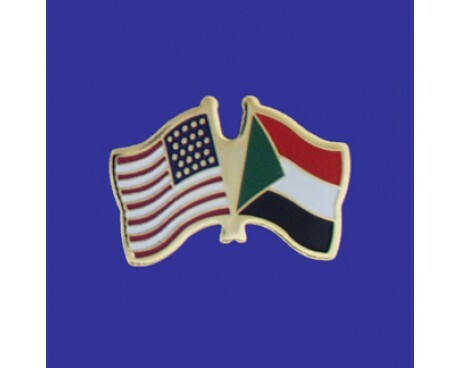 The Sudanese people represented themselves with a black banner at that time, and that banner is honored on the modern flag with a black stripe. The war began in 1881, and it eventually led to a unique political arrangement where the Sudan was administered jointly between Egypt and the British Empire. The Union Jack of Britain and the flag of Egypt, which consisted of three white stars and a white crescent on a green field, flew over Sudan from 1889 until 1956, when Sudan gained its independence. Sudan adopted a flag that consisted of three horizontal stripes of blue, yellow, and green at the time of independence. It was chosen as a neutral symbol of the nation's land that did not represent any single ethnic or religious group. It represented the nation until 1970, at which point the modern flag came into use.